PHILIPPINES (May 24, 2018) – America’s Got Talent makes its home on entertainment powerhouse AXN this week with an all new season set to premiere on Thursday, May 31 at 6pm. Creator Simon Cowell will return together with the vivacious panel of judges: Mel B, Heidi Klum and Howie Mandel. Supermodel and TVpersonality Tyra Banks will also return as host, bringing her unmistakable personal flair and verve to the show. With the search open to acts of all ages, America’s Got Talent has brought the variety format to the forefront of American culture by showcasing unique performers from around the world. The series is a true celebration of creativity and talent, featuring a colorful array of singers, dancers, comedians, contortionists, impressionists, magicians, ventriloquists and hopeful stars, all vying to win America’s hearts and US$1 million. Over the past seasons, America’s Got Talent has uncovered phenomenal talent including season 12 winner ventriloquist Darci Lynne Farmer, singer Grace VanderWaal as well as magician Mat Franco and dancer Kenichi Ebina. What new surprises will this season hold? America’s Got Talent premieres Thursday, May 31 at 6pm on AXN, within 48 hours of the US telecast and encores at 10pm. 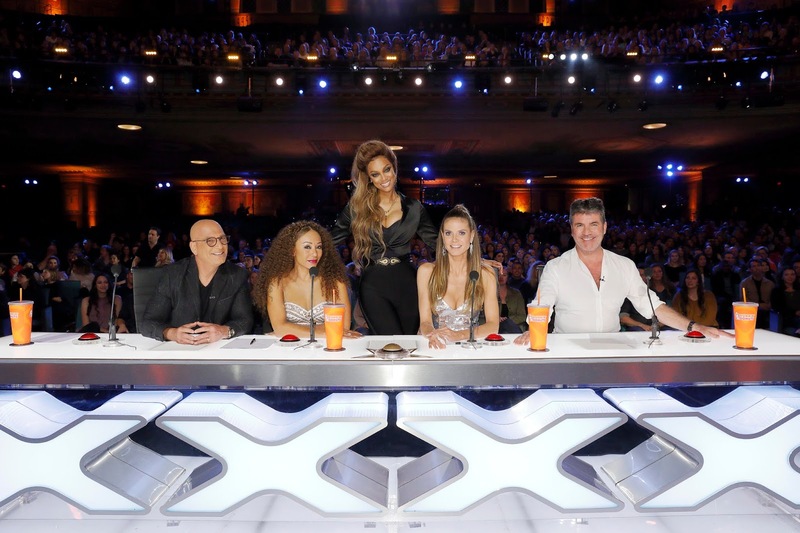 From June 7 onwards, America’s Got Talent airs every Thursday at 6pm and encores at 8pm. For an exclusive first look of America’s Got Talent, visit @AXNAsia on Facebook.